64% of marketers say they rely on trade shows and events as a source of new business opportunities. But despite the importance of events as a source of new leads, the way organisations collect lead data varies immensely. With so many ways to collect leads, it can be difficult to know whether you’re keeping up with industry best practices or falling behind your competitors. One of the biggest mistake is assuming that lead capture processes are the same as lead retrieval. So today we’re explaining the difference between these two terms – and why it matters. These are all created by or provided by event or trade show organisers, for attendees or exhibitors to use. They all work in a similar way: an attendee registers to go to an event. These registration details go into a database owned by the event organiser. Exhibitors at the event use lead retrieval devices to connect to that database, and retrieve the registration details of the specific person they’re speaking to at their booth. After the trade show, the event organiser will then send the exhibitor all the registration details for the people they spoke to on the stand. Lead capture essentially removes the event organiser as the intermediary between the exhibitor and the attendee’s data. Event lead capture apps like Akkroo. While each lead capture method has its own pros and cons, using lead capture rather than lead retrieval methods at events has one clear advantage for exhibitors: control. You have control over what questions attendees get asked, and what information you collect from them, rather than being limited to whatever information the event organiser asked for. Lead capture forms can be specifically tailored for your business needs: you can ask questions that relate to your business offering and product range. Even better, using a lead capture solution means you have your lead data as soon as you leave the show. You’re not stuck waiting for the exhibitor to send out your lead retrieval data. This gives you the opportunity to start following up with your Event Qualified Leads before your competitors even get their data back. At first glance, it may seem like there’s little difference between lead retrieval and lead capture, aside from the name. In fact, there’s one big difference between lead capture and lead retrieval: who controls the lead data. With lead retrieval, exhibitors receive their lead data second-hand, via the event organiser or device provider. You don’t have control over what data you receive – only whose data you retrieve. In comparison, using lead capture solutions, you collect your own lead data. You control exactly what data you collect from the people you speak to at your stand, and you have access to that data immediately, rather than waiting on the event organiser’s schedule. 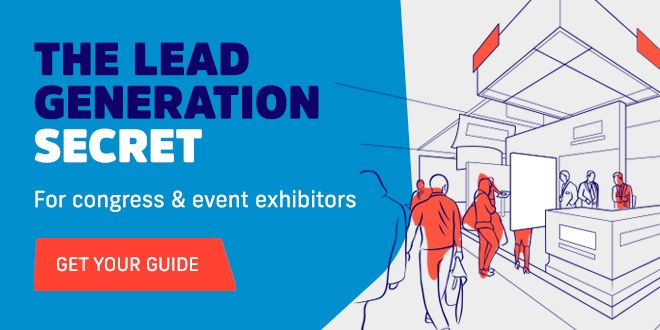 So if you’re looking at events and trade shows as a major source of leads for your business, it’s crucial to consider who will have control over the leads you generate – you or the event organiser.